Oregon's diverse and beautiful landscape provides a home for an incredible diversity of fish and wildlife. From the old-growth forests of the Cascade Mountains, to the wetlands of the the Klamath Basin to the mighty Columbia River, thousands of species depend on our wildlands and water to rest, feed, and raise their young. 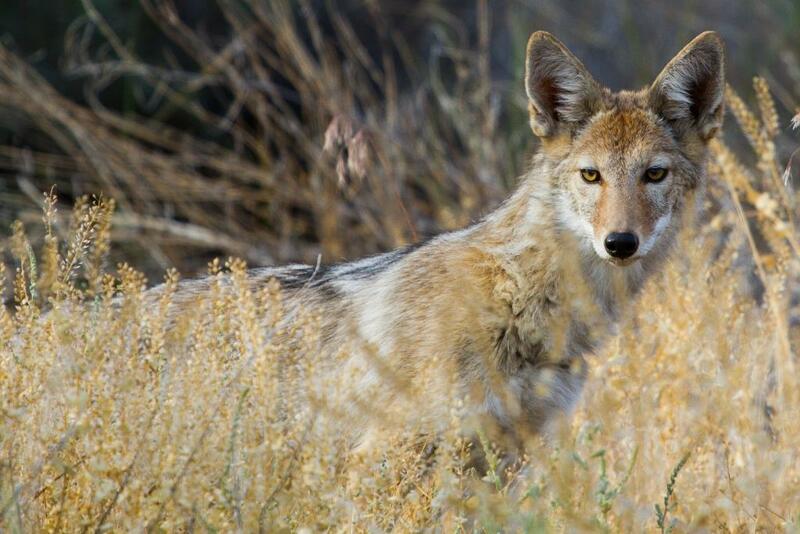 Oregon Wild believes we all have a duty to be good stewards of our fish and wildlife. Our goal is to protect and restore Oregon's natural heritage to ensure our grandchildren and great grandchildren will have the chance to fish for wild salmon in rivers like the Clackamas and Rogue, see bald eagles soar over Upper Klamath Lake, and to hear the howl of wolves echo across the backcountry of the Blue Mountains. Explore our native fish and wildlife profiles. 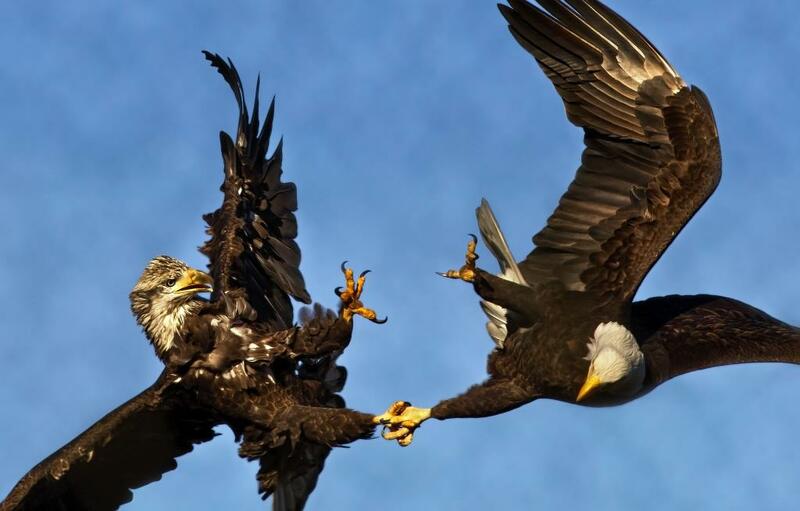 The symbol of America, the Bald Eagle was once nearly wiped out. Today it thrives in the Klamath Basin, but only with enough water for critical refuges. 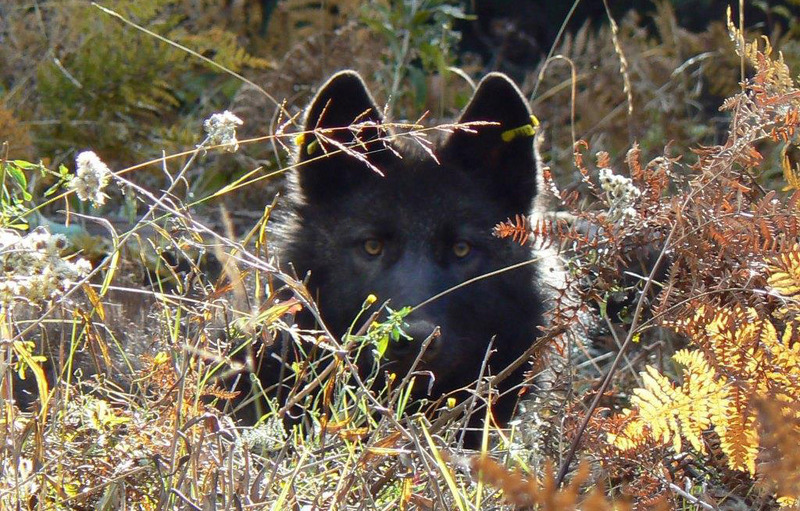 Wolves are making a return to Oregon, but old myths die hard and Oregon Wild is working to educate the general public that "the big, bad wolf" is not to be feared. 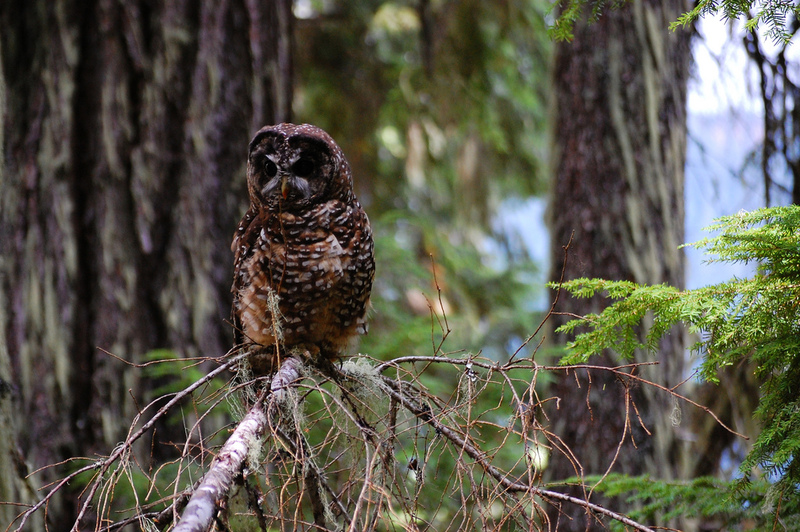 The proverbial "canary in the coal mine," spotted owls are key indicators of the health of our old-growth forests. Oregon's wild areas play host to species both great and small. Photo credits: Bald Eagles (Dennis Davenport Photography); gray wolf (ODFW); spotted owl (Kristian Skyback); coyote (Marylynne Diggs).